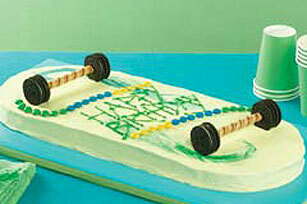 Place cake on cutting board; cut into pieces as shown in diagram to resemble a race car. Tint whipped topping with food coloring; spread evenly over cake. 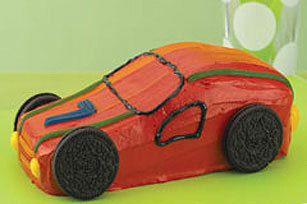 Decorate top of cake with fruit roll strips to resemble racing stripes and front grille of the car. Place 2 cookies on each side of car for the wheels. 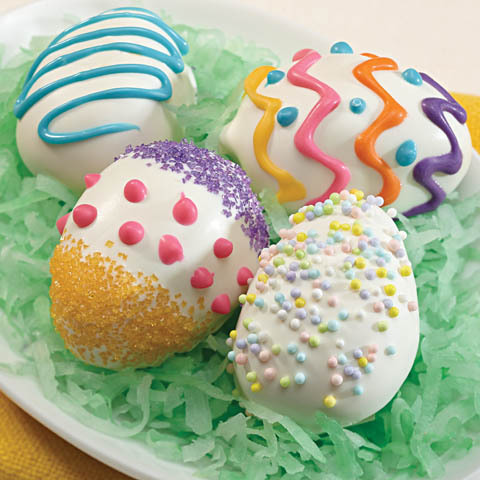 Place yellow chocolate pieces on front and back of car to resemble headlights and taillights. 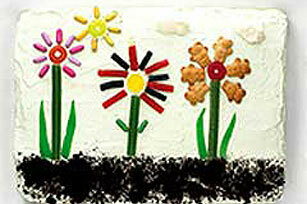 Draw windows on car and write the child's age on top of cake with icing. Use remaining icing to decorate cake as desired. Store in refrigerator. 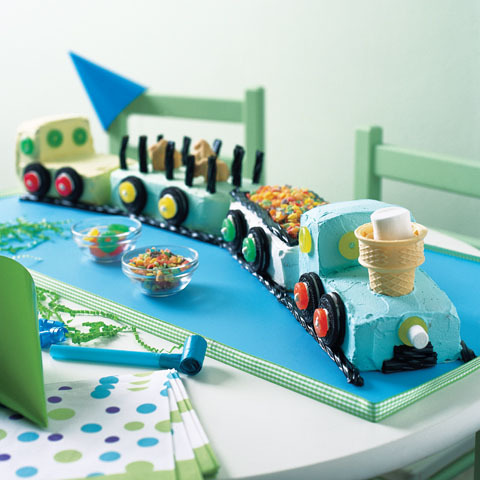 Size-WiseCelebrate a special occasion with the kids by making this colorful cake. 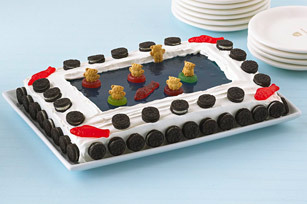 For added fun, invite the kids to help decorate this special treat. How to Frost A CakeIf the cake is very soft and crumbly, apply a “crumb coating” to prevent cake crumbs from mixing with the frosting. Spread a thin layer of frosting over the entire cake, then let stand 5 to 10 min. or until frosting is set. Spread remaining frosting over cake.